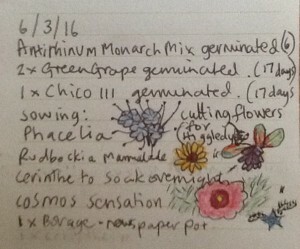 We asked community garden volunteer, Lucy Caithness, what she was planting this Spring. She is helped in the farm community garden by local volunteers, work experience participants and young farm volunteers. 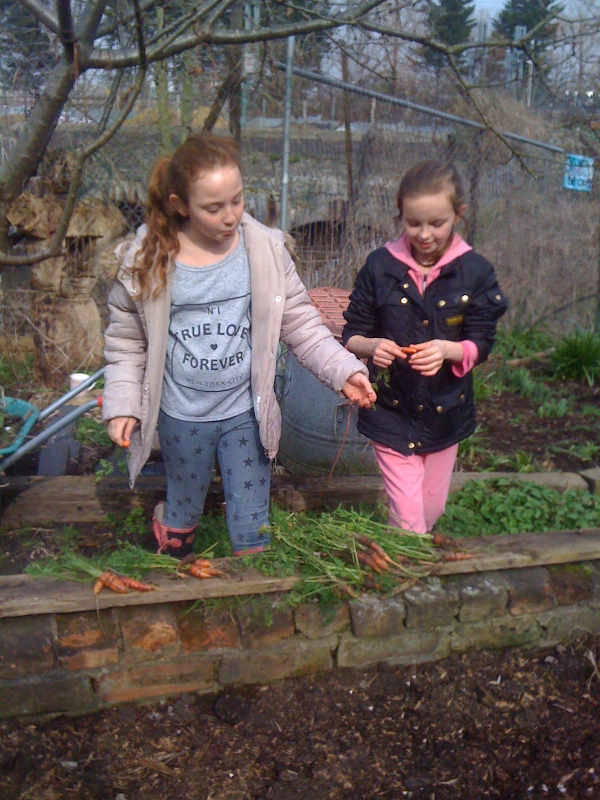 Lucy said: “This year, on top of the usual veg grown, such as potatoes, carrots, onions, leeks, garlic, brassica, beans, corn, pumpkins and tomatoes, I am sowing seeds on my windowsill of flowering plants to be ready to sell at the KTCF Plant Fair on 21st May. 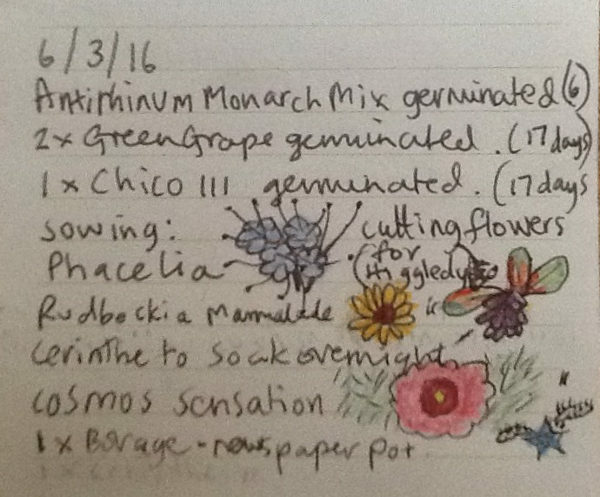 We have been asked to start off seeds for a floristry company who wish to source cut flowers locally so, on top of the Nasturtiums, Sweet Peas, Antirrhinums, Calendula and Petunias, strawberries and Wallflowers we should have a few of these pictured from my diary too. The Pumpkins are started from seed in the Community Garden greenhouse and by July they go up to grow on the muck heaps, always producing the winner of The Largest Pumpkin competition in the Capel Manor Show in September. We look forward to seeing and tasting what grows!